Sea Turtle DNA Fingerprinting project honored with the International Sea Turtle Society’s President’s Award. The graduation rate has more than doubled over the past three years. Georgia Highlands College student, Logan Palmer, is earning a degree in business while driving in professional races across Georgia. Momentum Year is a suite of strategies designed to help University System of Georgia students in their crucial first year of college. 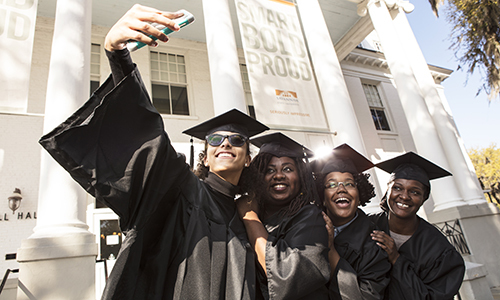 Key institutional metrics on undergraduate academic outcomes, affordability and borrowing. 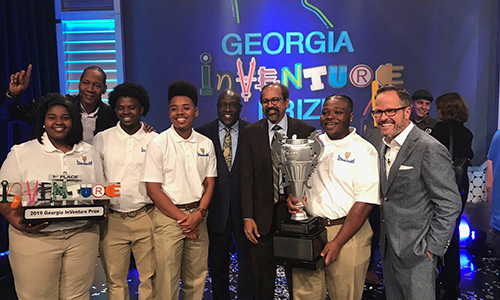 The FVSU team competed against 18 college teams from across the state in the entrepreneurship challenge, sponsored by the Georgia Chamber of Commerce. USG’s Money Monday program brings financial education to employees through themed, monthly workshops. 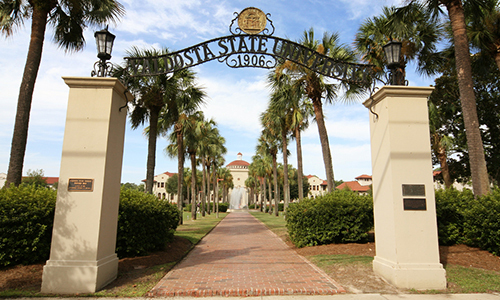 When it comes to distance education, VSU is one of the best colleges and universities in the nation. The University System of Georgia is comprised of Georgia's public colleges and universities, Georgia Archives and the Georgia Public Library Service. Joseph will begin her new position July 1. Board of Regents Chairman Don L. Waters and University System of Georgia Chancellor Steve Wrigley today announced Dr. Jann Luciana Joseph as the sole finalist for the president of Georgia Gwinnett College (GGC).